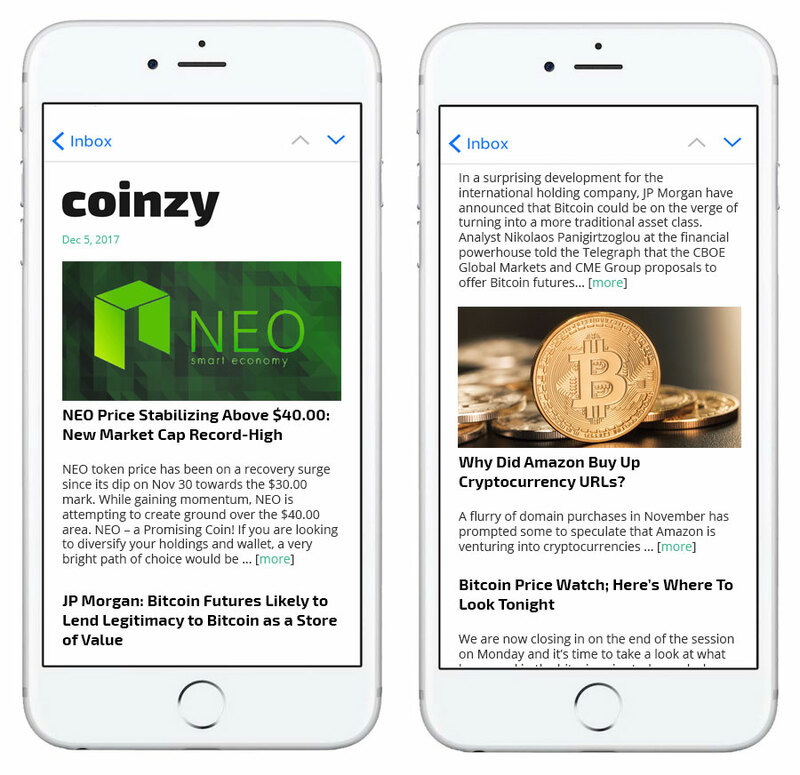 Coinzy – A Daily Curated Top Stories in the Crypto World. All The Top Need-to-know News In Less Than 8 Minutes a Day. One email goes out at 9 a.m. PST, and the other at 5 p.m. PST, you’ll be fully informed. We only curate the top crypto and blockchain news stories of the day so you don’t have to. All the top news sources, twitter, reddit, medium, etc saving you hours each day.